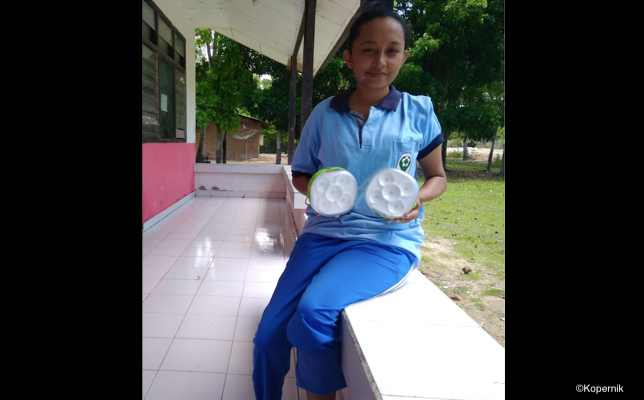 We've received the results of the third monitoring survey from Kopernik, our recipient in Indonesia. Here is the report along with comments received from locals. Hello, this is Tungga Putri of Kopernik. Kopernik is dedicated to bringing innovative technology and products to people in areas known as the "last mile," or regions in developing countries where it is most difficult for support to reach. In Indonesia, more than 10,000 villages have no electricity or electricity is unreliable. In 2014 and 2015, Panasonic donated a total of more than 2,000 solar lanterns to help support those villages. 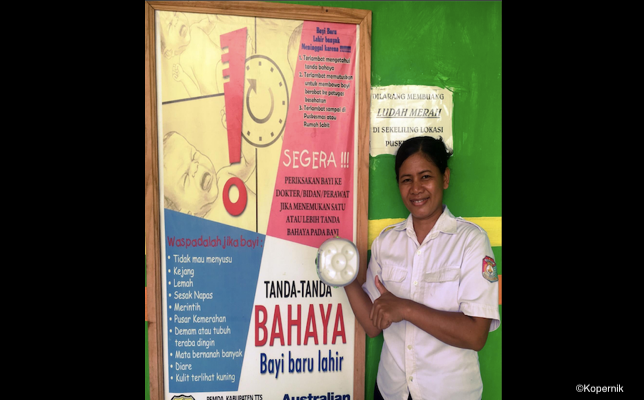 In December 2017, we conducted our third monitoring survey at clinics in East Sumba and South-Central Timor and below are those results. 100% satisfaction! "Brightness" ranks highest. 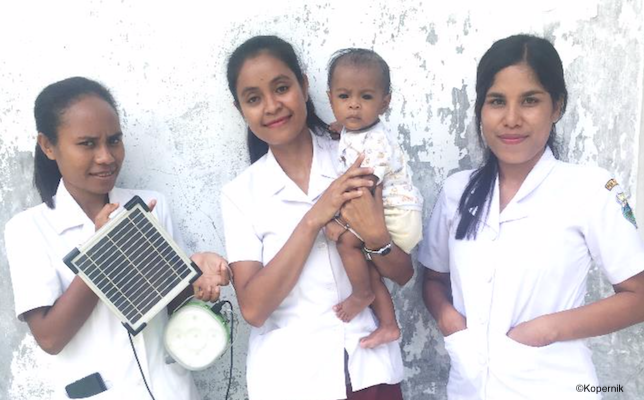 Of the 123 clinics in East Sumba and South-Central Timor, 10 locations were chosen at random for the survey, with consideration to availability of electricity along with travel distance from major cities. The survey was conducted in the form of interviews with clinic staff. First, regarding overall satisfaction, 40% answered, "very satisfied" while 60% were "satisfied." Solar lantern usability was rated from one to five for the items, "brightness," "durability," "operation time," and "quickness of charging." "Brightness" was the most highly assessed with 4.0 points, followed by "durability" with 3.9 points. Even today, 80% of all respondents are using solar lanterns every single day. 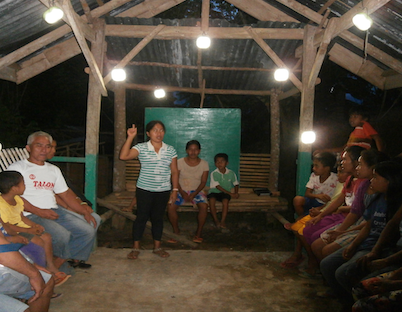 The solar lanterns have also brought positive impacts in terms of health. In the past, many of the clinics used kerosene lamps, which led to concerns about negative impact on respiratory systems and eyes. In questions in regards to "vision," "headaches," "fatigue," "respiratory issues," and "stinging eyes," to assess how much solar lanterns have contributed to alleviating health hazards, we learned that issues with respiration, vision, and stinging eyes were the most greatly improved. Additionally, solar lanterns have helped 90% of the clinics cut back drastically on utility bills. Meanwhile, every clinic has improved productivity now that they can work at night and provide initial medical care, make evening rounds, and write up reports, among other things. "Many of the night patients are expecting mothers and most come to the clinic very close to giving birth or with their water already broken. We can't use diesel generators in emergencies since they take time to start generating electricity. Often, the generator is also out of fuel. That is why solar lanterns that we can use immediately in emergencies without fuel are truly a treasure." "Once, when an emergency patient was brought in from a traffic accident while I was on my night shift and during a power failure, there were no candles and no electric lighting. But I always carry around solar lanterns at night, so we were able to treat and sew up the injury under the light." 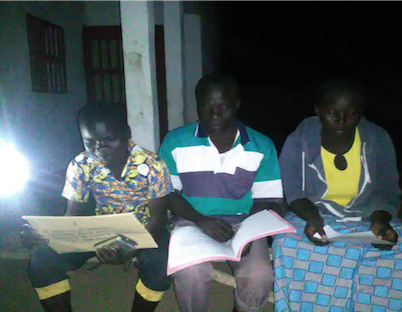 This survey helped reveal how much solar lanterns are contributing to village clinics. We plan to conduct the next survey in December 2018 and submit the final report by mid-January 2019. 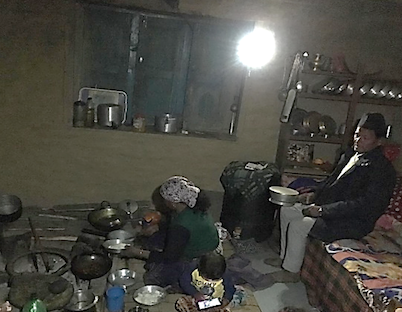 The usage of solar lanterns will connect to villagers developing their communities. Going forward, we will continue our surveys that connect to the people's futures. *The photographs and videos on this site have been pre-approved by each recipient organization.